NIEROS® Sticker Remover CLT SR is designed to remove stickers from crates or Euro stacking containers quickly and efficiently. Its powerful pump provides enough pressure to remove over 90% of all stickers without using any chemicals. For optimal results, two high-pressure nozzles of 150 bar are placed on the side of the machine. 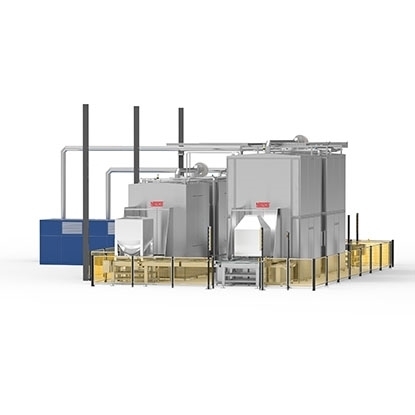 As a modular unit, the CLT SR can be integrated into any NIEROS® tunnel washing machine designed for the same items of wash, or can, as such, function independently as a self-standing unit. It accommodates up to 3000 crates per hour with a maximum crate size of 600 x 400 x 300 mm.